From historic ships to secluded farmhouses, amaze your guests with superior, scenic views that are anything but cookie-cutter. A Chester County hidden gem, The High Point is a little off the beaten path. 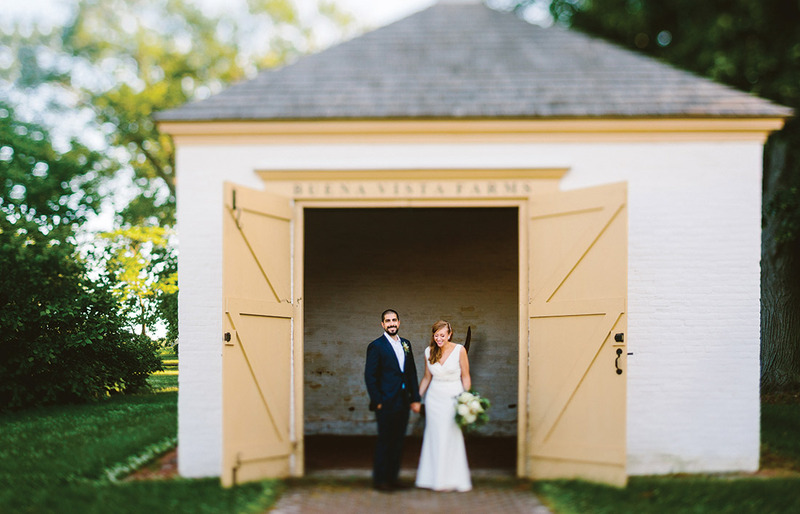 The Bank Barn is rustic with a brick patio leading to an open meadow and views of the labyrinth. The pre-revolutionary church dates back to 1744. It is a historic landmark with sheep that tend to its unique churchyard. The venue is also very open and accommodating to outside caterers and vendors. 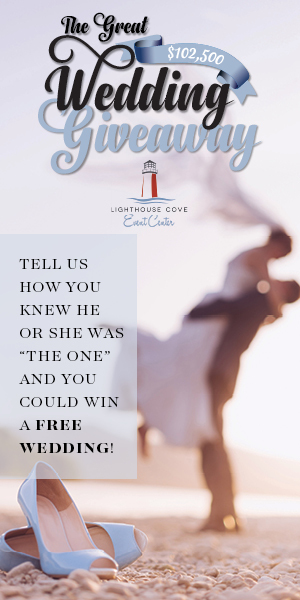 It is intimate and unique—your guests will be raving for months. 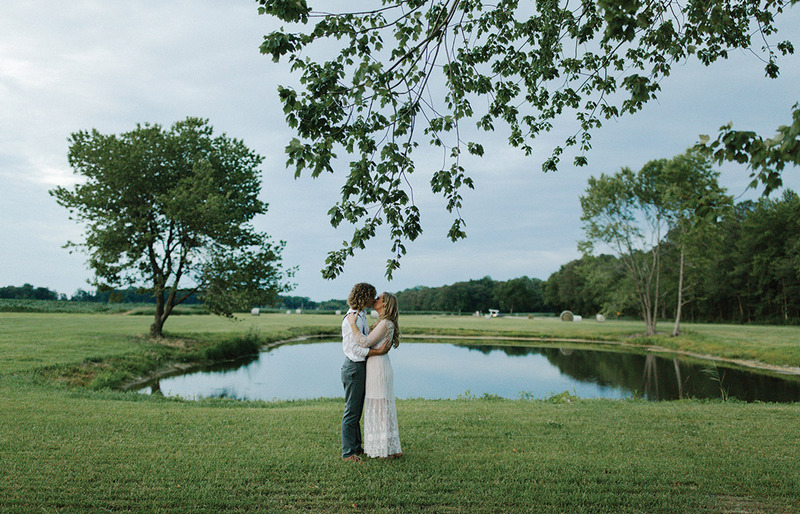 Nicole Bailey of Elevee Events describes Buena Vista as the perfect venue for the couple who can’t make up their minds. Buena Vista was built by Delaware and U.S. statesman John Middleton Clayton between 1845 and 1847. “It is right off Route 13 in Old New Castle. It’s neither ostentatious nor stuffy,” says Bailey. Enjoy sweeping views of cornfields or gardens or take advantage of the historic Buck Library. “It’s one of the most flexible venues in the state,” says Bailey. Ricki Kaplan and Greg Ceccarelli wed there in May 2015. 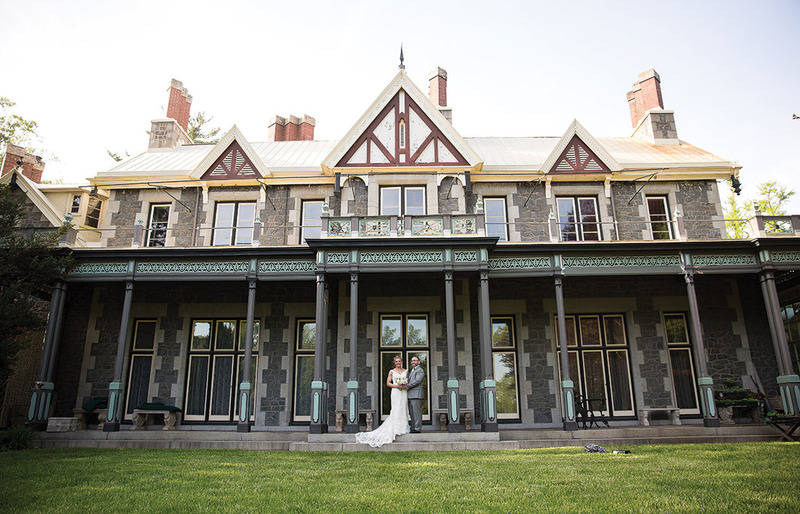 Tucked away on the secluded grounds of a historic 19th-century country estate, the beautifully refurbished, 150-year-old Carriage House at Rockwood Park is sited on a 162-acre park just north of Wilmington. Its stunning location belies its proximity to I-95 and numerous hotels for out-of-town guests. 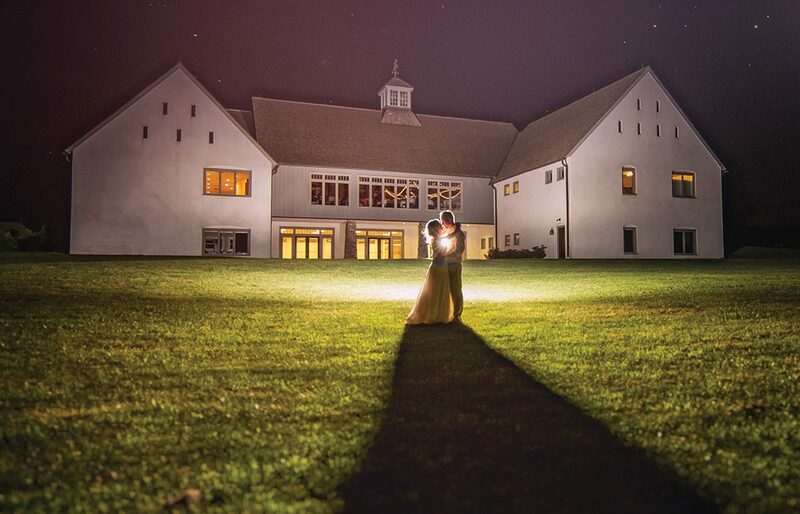 With expert wedding planners and nearly 40 years of creative culinary know-how by Greenery Caterers, the facility offers a full range of outdoor settings among massive trees, walled gardens and verdant open areas, as well as indoor ceremony spaces with gorgeous stone walls and rustic wooden beams. Columbia Station has the classic beauty that comes from being a converted train station. 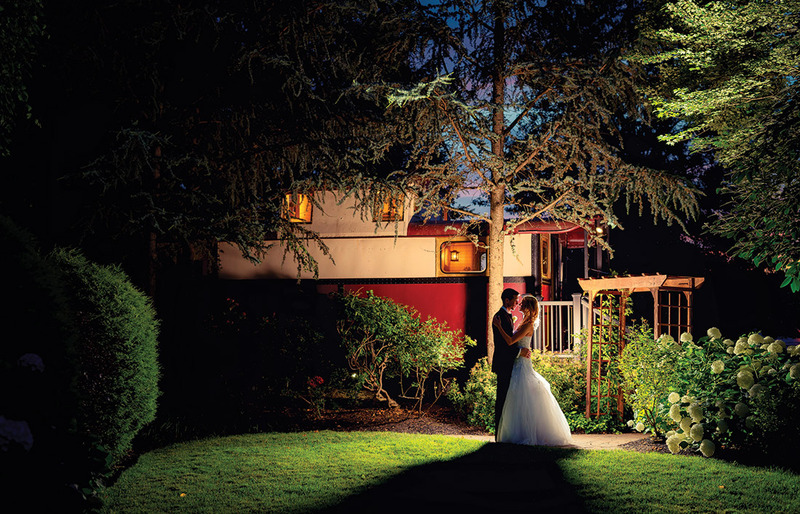 There is even an antique caboose on the property that offers a fully appointed bridal suite for a truly unique touch. 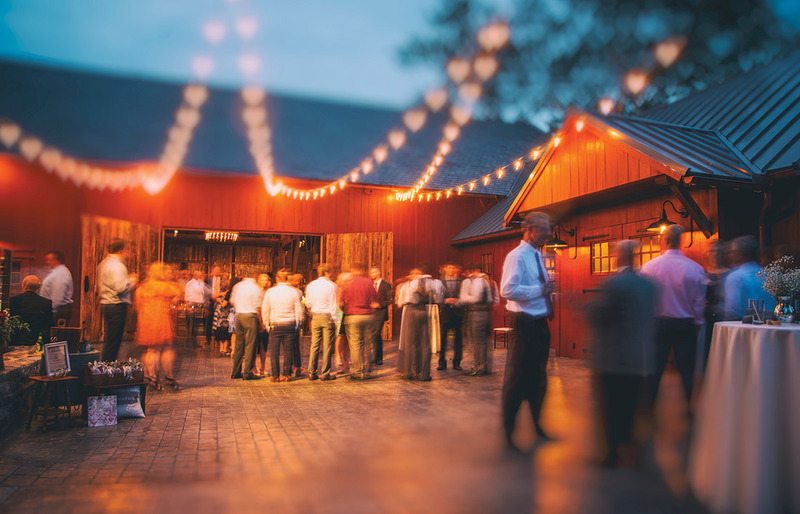 “Robert Ryan catering keeps the building in amazing condition and the setup is perfect for cocktail hour and dinner,” says Jim Coarse, who shot Jennifer and Mike’s wedding there on July 3. 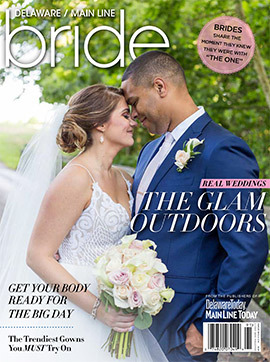 Samantha and Alex were married on Nov. 14, 2015 at the Farm at Eagles Ridge in Lancaster, Pa., recently featured in Vogue magazine as one of its 11 stunning farm wedding venues across the country. The present-day Kalmar Nyckel serves as a floating classroom and inspirational centerpiece for the Kalmar Nyckel Foundation’s award-winning educational programs, engaging students of all ages and stimulating them to learn more about Delaware’s rich maritime and Colonial history. 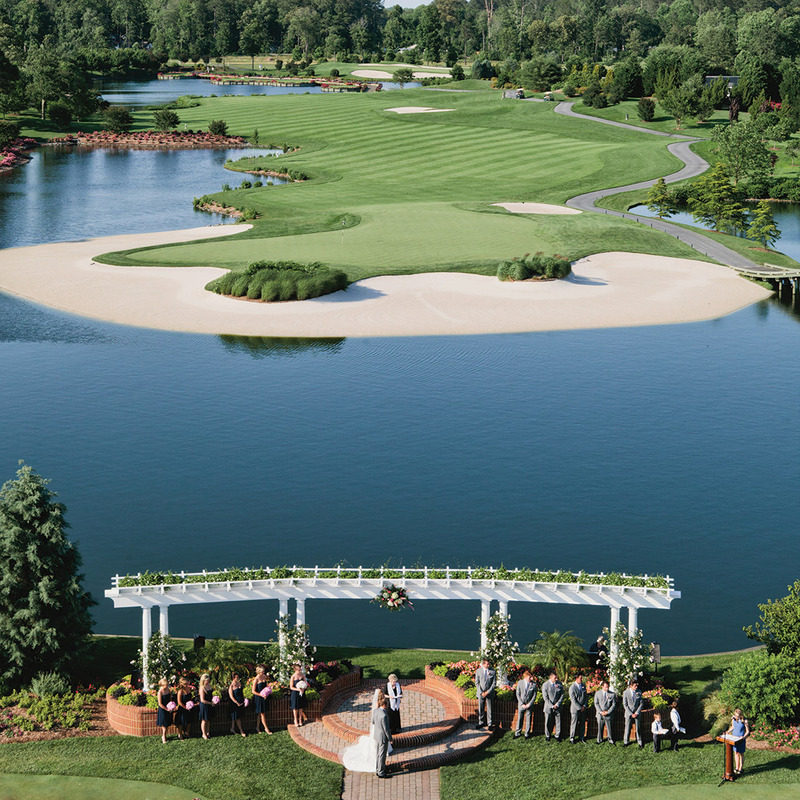 It’s also a perfect wedding venue. 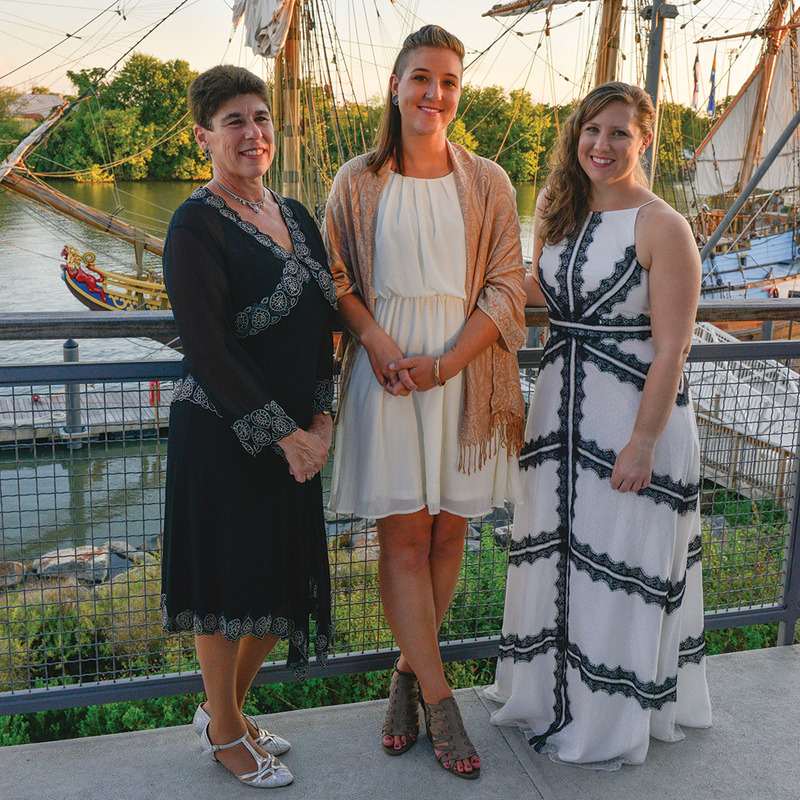 “Ceremonies and receptions can actually take place on the ship’s deck and dock, but even larger parties in the building overlook the ship from the balcony,” says Joe Valenti, marketing manager for the Riverfront Development Corporation of Delaware. “I grew up around the corner from Loch Nairn Golf Club and have always known it to be a very quiet and beautiful location,” says photographer Jim Coarse. 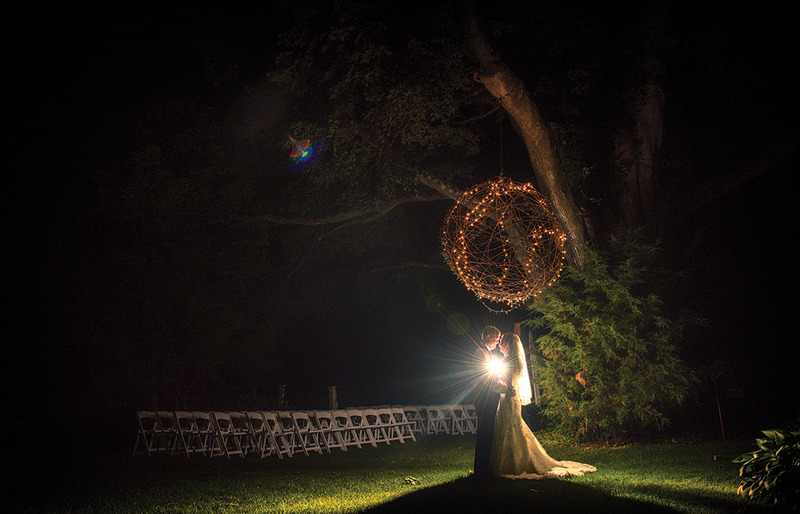 Meg and Steve, who married on July 18, wanted an intimate wedding, and knew it was the perfect location for their ceremony and reception. “Although you can’t take photographs out on the course itself, there is a classic beauty to the setting that opens a lot of options to go out and grab photos,” says Coarse. The Moshulu is the world’s oldest and largest square-rigged sailing vessel still afloat. This Philadelphia landmark has glorious views of the city’s waterfront and skyline. 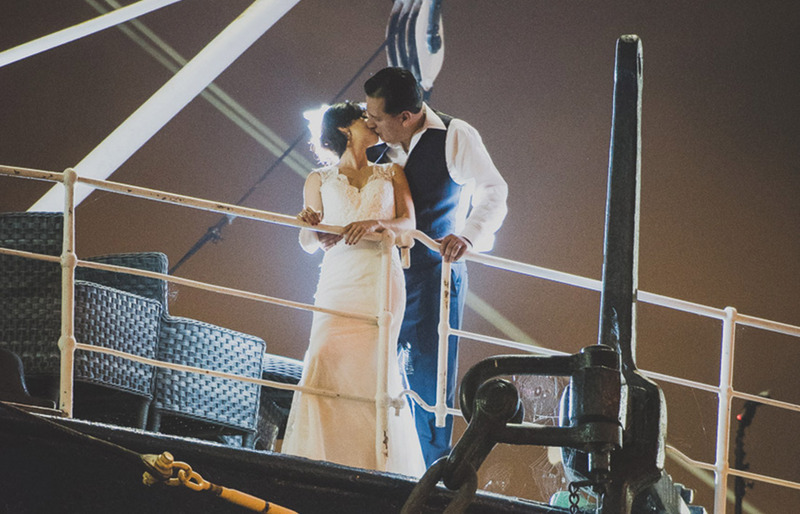 The ship played extremely well to Anabel and Rafael’s ‘30s theme wedding in August. A bad storm was expected to hit during the ceremony but ended up taking a hard left to the north. “The result was an amazing sunset and magazine-worthy photos,” says Jim Coarse of Moonloop Photography.